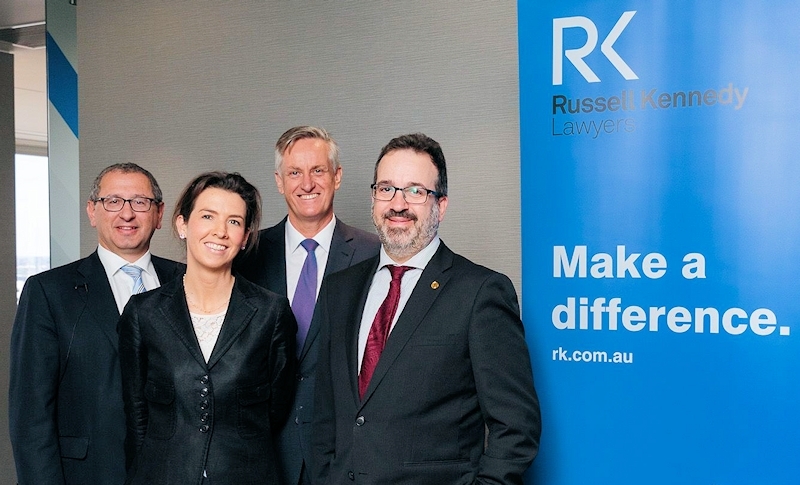 Victor Harcourt (Principal, Russell Kennedy), Emma Dunlevie (Pro Bono Manager, Russell Kennedy), John Corker (CEO, Australian Pro Bono Centre) and the Hon Martin Pakula MP (Attorney-General of Victoria). On 29 November 2016, a panel of speakers consisting of the Hon. Martin Pakula, Attorney General of Victoria, Emma Dunlevie, Pro Bono Manager at Russell Kennedy, and John Corker, CEO of the Australian Pro Bono Centre, discussed the pro bono conditions in the Victorian legal service panel arrangements. The discussion was hosted by Russell Kennedy Lawyers and moderated by Victor Harcourt, a Principal of the firm. Representatives from law firms, the Victorian Bar, the Law Institute of Victoria, government, and in-house teams working at not-for-profits and government in-house legal teams attended the lunchtime session. The panellists discussed pro bono legal services and the impact of the legal services panel arrangements. The session provided a unique opportunity to hear from The Hon. Martin Pakula regarding the role of legal services panel arrangements in the delivery and growth of pro bono legal services, and the development of pro bono culture in Victoria. Mr Pakula opened by saying that the legal profession has always supported the need to provide access to justice for those sections of our community who are disadvantaged in some way. He also pointed to the Victorian Government model as helping to drive an even greater commitment from law firms. The Victorian model mandates a minimum level of pro bono work for ‘approved causes’ as a condition of being on the State Government Legal Services Panel, measured as a percentage of the total amount of fees generated through work received from Government. Mr Pakula noted that whilst the most recent panel conditions (in 2015) doubled the minimum commitment from 5% to 10%, the average across all panel firms was currently 20%. John Corker praised the Victorian scheme for its achievements and noted that there had been strong support shown by law firms for the role played by the department’s pro bono coordinator position, an approach he suggested other States should adopt. In comparing the Victorian approach with that taken by Commonwealth with its legal services multi-use list, he noted that the Commonwealth scheme is less prescriptive and places greater onus on individual departments and agencies to consider firm pro bono performance as part of their purchasing decision. Mr Corker also noted that the Commonwealth scheme is based on the definition of pro bono legal services used in the National Pro Bono Aspirational Target and measures pro bono performance in terms of lawyer hours committed, rather than in terms of fee equivalent, which Mr Corker suggested is a “truer” and more appropriate performance measure. Mr Corker saw opportunities for consolidating a national approach to measuring the pro bono contributions of firms., creating improved reporting efficiencies for firms under a single, national model based on the definition of pro bono legal services used for the National Pro Bono Aspirational Target. “Whichever way you look at it, there is no doubt that the profession is making progress. 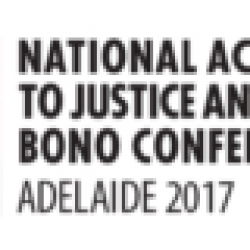 There are now 12,000 lawyers in Australia working to the definition of pro bono services under the Target. And, for the first time this year, the national target was reached. Another way to look at it is that there is now the equivalent of 223 lawyers in large private law firms in Australia doing nothing but pro bono work all year,” Corker said. He also said it was important to clearly distinguish pro bono legal service from no-win no-fee work. He suggested that an opportunity existed for the Victorian government to follow its Access to Justice Review recommendation to seek change, either legislatively or in the rules of court, to ensure that an order for costs can be made in favour of a party represented on a pro bono basis. Mr Pakula indicated the Victorian Government is currently considering all recommendations in the Review and would provide a formal response in 2017. Emma Dunlevie spoke about some of the structural elements of the Russell Kennedy Lawyers approach that make it so successful. Underpinning Russell Kennedy’s approach is a formal structure – pro bono is a distinct practice area for the firm. It has dedicated lawyers, a co-ordinator and a representative committee. Pro bono is a formal agenda item in each monthly practice group meeting and the pro bono practice group reports monthly to the Board. Ms Dunlevie commented on the importance of not confusing pro bono work with other corporate social responsibility initiatives in the firm. 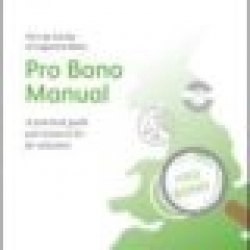 Firms need to be very clear about what work comes under their pro bono definition. Russell Kennedy Principal Victor Harcourt asked the panel to differentiate between what effective and ineffective firms are doing in their pro bono programs. The general consensus was, apart from providing formal management structures and resources, those firms with a strong pro bono culture develop and grow a program from sustainable building blocks through longstanding, deep relationships with a handful of key partners and clients. They also bring proactivity to their programs by actively identifying areas of unmet legal need, and developing programs to address those needs in consultation with the broader community of Community Legal Centres and Legal Aid organisations.